dkbMARKETS is all about Enlightening & Mentoring Traders. This Trading & Investing blog was formed to give daily updates and advise on Dr Aderemi Banjoko's Day Trades, Swing trades and also other investments in the financial markets. This will hopefully assist you in learning the basic foundations of how to be successful in the Financial Markets (fixed income, stocks, commodities and currencies (FX). 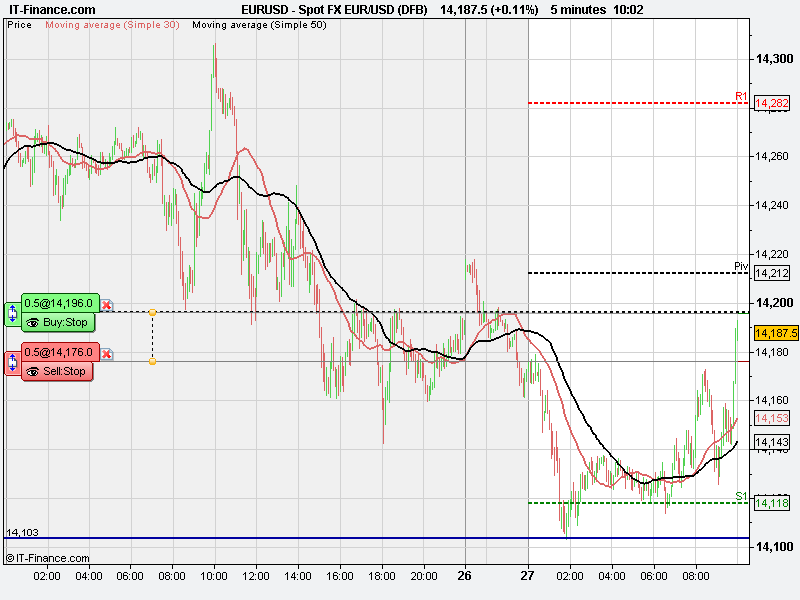 The market fell at took the Stop loss at the opening level of 14140 with no loss. A pending BUY order has now been placed at the Fibonacci Retracement at 14196.
dkbMARKETS, www.dkbmarkets.com, is run by highly experienced industry professionals bringing you first class service. We are here to assist you in becoming a successful trader and investor in the Financial Markets. We provide you with access to Trade the global financial markets such as Currency (Forex) trading, Commodities trading, Trading Indies and also trading USA, UK and European Stocks. We also provide on-going mentorship and support for our Live Account holders with weekly online Live Trading sessions. We hold regular FREE live and online seminars, workshops and paid master classes. We currently have a promotion going on which entitles NEW Live Account holders to a 40% instant bonus on their deposit also with a FREE e-book titled "The Definitive Guide To Building a Winning Forex Trading System". Away Till The 4th of May 2010!!! Hi. I am away till the 4th of May and will start blogging again from the 5th of May 2010. Happy trading and remember to stick to your trading plan and apply good money management to your trading. There are quite a few reports due out today, see www.dailyfx.com/calendar. There are a few reports of HIGH importance due out in Europe at 8.30am and 9am. In USA, there is the USD Producer Price Index report and USD initial Jobless Claims report both due out at 1.30pm. Trade with care, sticking to your trading plan and applying good money management. Preparing for the trading day.